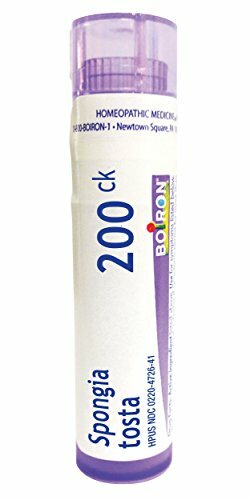 Ollois spongia tosta 30C homeopathic single medicines. 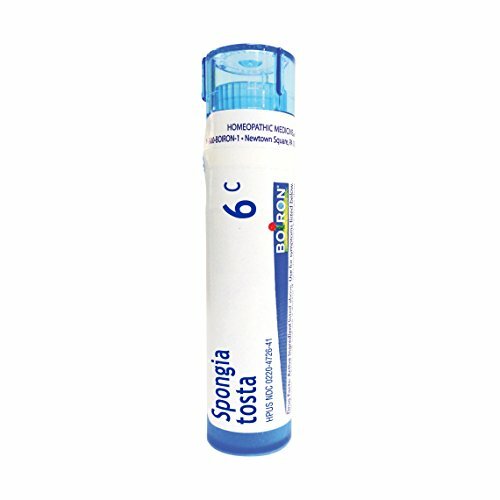 Traditionally used to help improve symptoms of breathing difficulties associated with croupy cough. The dosage is not related to the weight and age of the patient. In general, dissolve 5 pellets 3 times a day until symptoms are relieved or as directed by your health care professional. Contains appx. 80 pellets in each tube, each dose should be placed under the tongue of adults and children, or in the cheek of an infant, where they will dissolve. It is preferable to take apart from meals. No side effects, no drug interaction. For informational purposes only, not intended for, and neither should it be taken as a substitute for professional medical advice. Stop use and ask a physician if symptoms persist for more than 3 days or worsen. If pregnant or breast-feeding, ask a health professional before use. Keep out of reach of children. Homeopathic Medicine. Coughs. Made according to the Homeopathic Pharmacopoeia of the United States since 1903.